Over 1500 dancers from throughout New England took the stage last weekend at the Hartford Convention Center in CT. 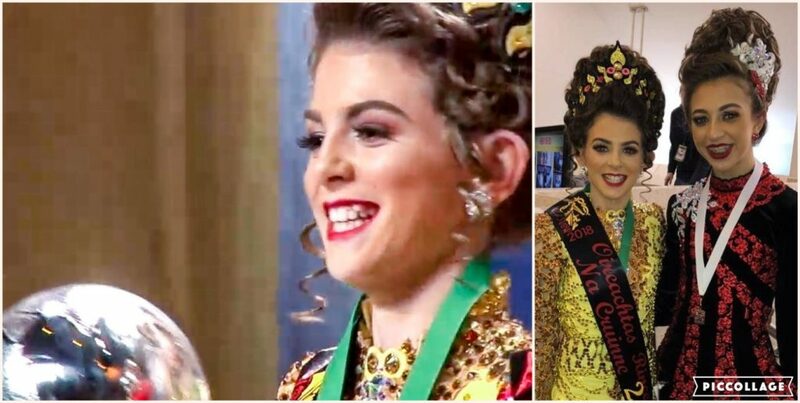 The solo competitions at this event determine who is eligible to attend the World Championships of Irish Dance, to be held in April 2019 in Greensboro, NC. The event also includes team competitions in 5 different age groups. To see our complete list of results, click here. Murray Academy finished the competition with four Top 5 placers! Congratulations to all who represented our school so well in Orlando! Overall, our school had another great year, with 30 of our 45 dancers receiving an award (67%), and of those, 14 – almost half – placed high enough to qualify for the 2019 World Championships!! This means that a third of our dancers participating at the National level this year are on their way to Greensboro, NC next spring! 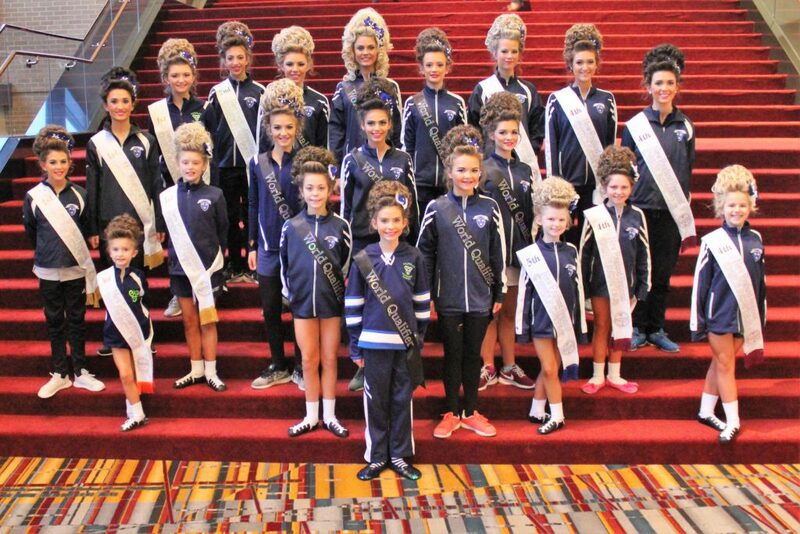 Special congratulations to our dancers in the top 5: Brigid O’Connor, National Champion, Girls U13B; Sadie Bucknam, 3rd place Girls U17B; Charlotte McDaniel, 5th place Girls U13B, and our U13 Girls Ceili team, 4th place, along with our other top 10 finishers Bailey Bartel (7th, U17A), Charley Finlay (10th, U10B) and Sarah Krein (10th, U19B). We are so proud of how well they performed under pressure! Click for a list of our 2018 NAIDC full results and see our gallery below. 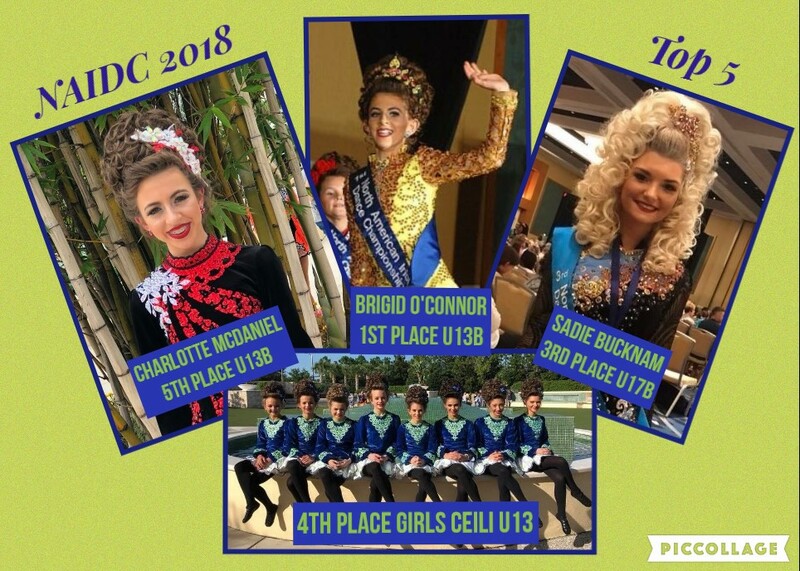 Congratulations to all of our qualifiers for their performances at this year’s World Championships, with a special congrats to Brigid O’Connor for bringing home the 2nd place globe in U13 Girls competition, to Charlotte McDaniel on her World Medal, and to Sadie Bucknam and Clare MacRitchie on their recall medals! This year 19 of our qualifiers attended. In addition to the 4 receiving individual solo medals, we had another 5 dancers placing in the top half of their very large competitions of 150-200. We are very proud of our results and of our dancers. Looking forward to the 2019 competition in Greensboro, NC! Click Here For A List Of Our Results/Names.